There is a considerable difference between teen fashion and adult fashion. Where teens can experiment openly with their outfits, adults don’t have that freedom. With fashion evolving day in and day out, there are many fancy dress ideas for kids and teens equally. 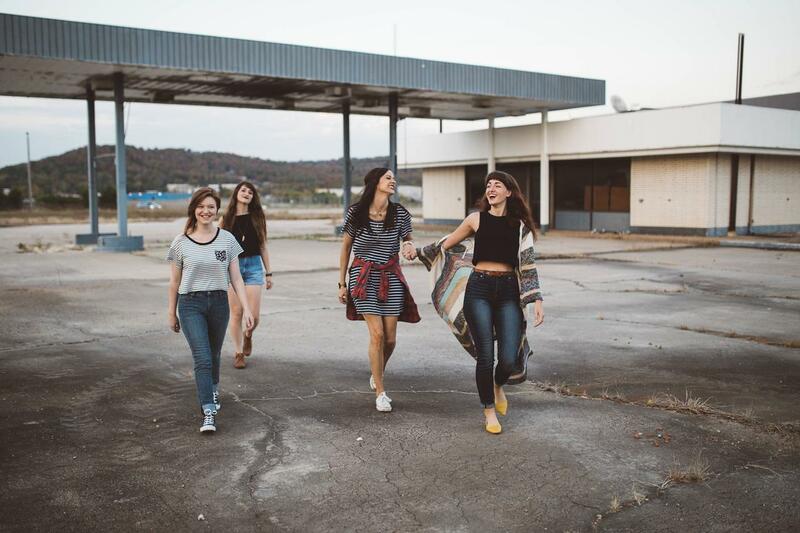 Here are 7 fashion tips for the current generation of teenagers. Layering is fun when done right. Teens can experiment with layering their clothes. You can opt for a simple dress and layer it with a long jacket or coat. Carry a scarf of contrasting colour to complete the look. Otherwise, wear a tank top under the off-shoulder blouse and throw over a coat to give it an appearance of a single outfit. Team it with jeans or trousers. While experimenting with layering, take care that you don’t end up looking bulky. Vibrant colours are meant for youthful, energetic people just like teenagers. So next time you go shopping, buy clothes with eye-popping colours like orange, reds, royal blue, hot pink, and bright yellow. You can also utilize contrast colours in your outfit to give you that extra oomph factor. For example, if you are wearing a yellow top, pair it up with a bright blue jacket and white trousers. Contrast shades like red and black, blue and yellow, orange and blue, hot pink and blue, etc can be brought together in an outfit. You can also use these opposite colours to layer the outfit as stated above. As a teen, you should definitely go for short outfits like short dresses, mini skirts, and hot pants. Teenagers have beautifully toned legs which with age may begin to sag. Hence, grab this opportunity to flaunt those legs and wear short outfits as long as you can. Right from tops, shirts, skirts, jackets, scarves, and dresses every piece of clothing is available in a wide range of patterns and prints. You can find many prints like floral, geometric, Aztec, etc. You may also come across fun quirky prints like bananas, owls, watermelons, etc that have taken the fashion world by storm. Blue denim jacket and denim skirt are must-haves for any teen. You can adorn a denim jacket with a skirt and top, a cami and denim combo, a simple dress or as a buttoned-up shirt paired with black denim. Use of right accessories can enhance the overall look of any outfit. Earrings, belts, glasses, footwear, bracelets, pendants, chokers, and handbags all can take your style to the next level. Avoid using more than two or three accessories at the same time. For example, if you are wearing a scarf, a hat, a necklace, a watch, and sunglasses all at once then your outfit may look too crowded or cluttered. Instead, select a few accessories that will enhance your features or highlight a particular feature of your body that you think looks great. For example, if you want to flaunt your curves, include belt in the outfit that defines your waist. Or if you want to highlight your neck and want it to appear longer and slender go for long necklaces/ pendants that drop to your chest. Teenage is the appropriate time to experiment with your locks. This is the period where you can try all the popular haircuts and find out the one that suits you the most. Picking a right hairstyle that and hair colour that matches features of your face and its complexion can aid you to go from aww to wow. So before you experiment with your tresses its always a good idea to take the advice of a professional. From short pixie haircuts to long layered bangs, from soft curls to straight sleek strands, you have many options to play around with. Just remember to nourish your hair with regular oiling sessions and proper protein rich diet. If you take care and follow the given tips properly, you will definitely land up in the queue of most stylish girls in your college. After all, we all love some attention, don’t we? So get ready to rock your college with your new updated look and revamped the wardrobe.